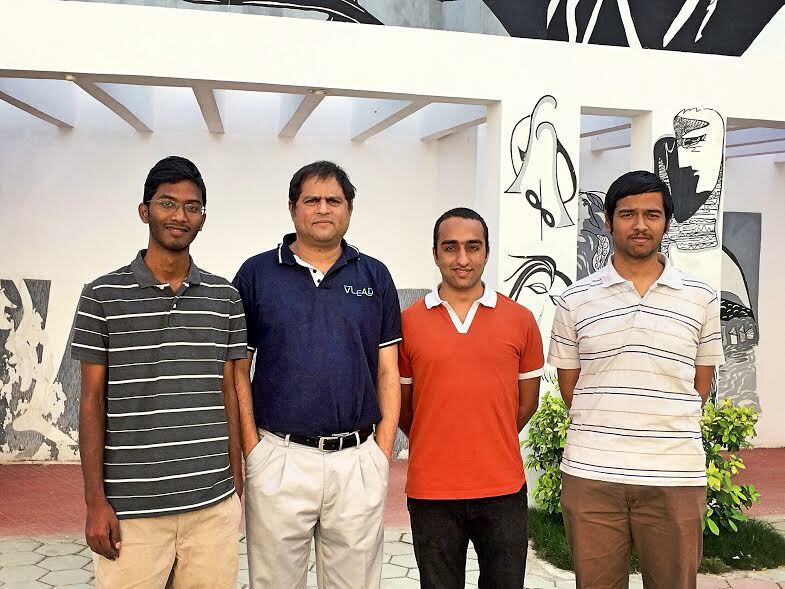 IIIT-Hyderabad’s team mobius_treap has qualified for the World Finals of ACM-ICPC – the oldest, largest, and most prestigious programming contest in the world. The contest is a multitier, team-based, programming competition headquartered at Baylor University. It involves a global network of universities hosting regional competitions that advance teams to the ACM-ICPC World Finals. Computing disciplines at almost 2,736 universities from over 102 countries on six continents participate in this competition. The contest fosters creativity, teamwork, and innovation in building new software programs, and enables students to test their ability to perform under pressure. IIIT-Hyderabad’s Team – mobius_treap – Rajas, Tanuj, Sriram – secured the 1st position in INDIA-FINALS and qualified to represent IIIT-Hyderabad in the ACM ICPC World Finals – 2017 which is to be held in Rapid City, South Dakota, USA from 20th May – 25th May 2017. What made you participate in the competition? codeforces. As ACM ICPC is the oldest and most renowned programming competition and IIIT has been sending teams for ICPC World Finals consistently, we thought of participating in the competition. What are the challenges of the competition and how did you prepare for it? The contest consists of solving algorithmically challenging problems. To solve the problems, one requires a thorough knowledge of algorithms, mathematics and analytical thinking. We prepared for it by participating in many 5-hour practice contests to get used to the contest environment and improve team coordination. How many other teams from India have qualified for the finals? teams include: Team FacelessMen from IIT Kanpur, Team Rocket from IIT Bombay, Team DAFruitSalad from DAIICT Gandhinagar, Team ThirdFloor from CMI, Chennai. We are the only team from Telangana that has made it to the finals. We are practicing previous world finals contest tasks and also focusing on learning new topics and covering more theory. Along with this, we are also participating in other harder training contests available online. How has your coach Prof Choppella helped to prepare the team for the competition? We received valuable inputs from Prof. Choppella and he has always been very prompt in helping us whenever required. He was also very helpful in providing institutional and administrative support. No Indian team has ever won this competition. The top ranks have always been dominated by Russians. The best ever performance by an Indian team was rank 18, our goal will be to get a rank better than that. Takeaways from the rounds so far? In the past rounds, we have realized that we are weak in certain topics and are trying to rectify that by upsolving the unsolved problems after the contest. We are trying to minimize such errors. Secondly, we also need to improve a bit on our time management and make sure we don’t get stuck on a certain problem and waste our time. Trying out all problems during the contest is very important. Vanjabe Rajas Mangesh – Rajas is currently in 3rd year of Computer Science dual degree program at the institute. He was introduced to programming and algorithms when he was in 11th standard. His hobbies are programming, playing badminton and sleeping. Sriram Narayanan – Sriram is currently in 4th year of undergraduate Computer Science program at the institute. He was introduced to programming in high school. His hobbies are programming and watching TV shows, movies. He also likes to read novels. Tanuj Khattar – Tanuj is in 3rd year of undergraduate Computer Science program at the institute. He was introduced to algorithmic programming in first year at the institute. His hobbies include programming, yoga and dancing. – 2925 teams registered from India for the first round, which was an online round, out of which 120 teams were from IIIT-Hyderabad. Mobius_Treap ranked No. 3 among the teams from Hyderabad. – Second round, onsite at Amritapuri and Chennai. Mobius_Treap ranked 3rd and 5th respectively.